Plastid genome engineering is an effective method to generate drought-resistant potato plants accumulating glycine betaine in plastids. Glycine betaine (GB) plays an important role under abiotic stress, and its accumulation in chloroplasts is more effective on stress tolerance than that in cytosol of transgenic plants. Here, we report that the codA gene from Arthrobacter globiformis, which encoded choline oxidase to catalyze the conversion of choline to GB, was successfully introduced into potato (Solanum tuberosum) plastid genome by plastid genetic engineering. Two independent plastid-transformed lines were isolated and confirmed as homoplasmic via Southern-blot analysis, in which the mRNA level of codA was much higher in leaves than in tubers. GB accumulated in similar levels in both leaves and tubers of codA-transplastomic potato plants (referred to as PC plants). The GB content was moderately increased in PC plants, and compartmentation of GB in plastids conferred considerably higher tolerance to drought stress compared to wild-type (WT) plants. 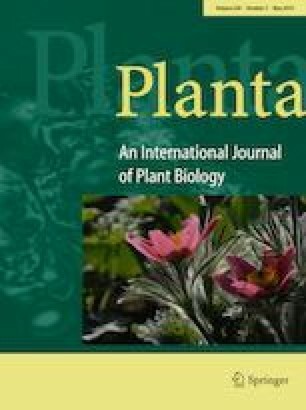 Higher levels of relative water content and chlorophyll content under drought stress were detected in the leaves of PC plants compared to WT plants. Moreover, PC plants presented a significantly higher photosynthetic performance as well as antioxidant enzyme activities during drought stress. These results suggested that biosynthesis of GB by chloroplast engineering was an effective method to increase drought tolerance. The ​original ​version ​of ​this ​article ​was ​revised: Due to name of incorrect second author. The online version of this article ( https://doi.org/10.1007/s00425-019-03132-3) contains supplementary material, which is available to authorized users. A correction to this article is available online at https://doi.org/10.1007/s00425-019-03153-y. This work was supported by grants from the National Natural Science Foundation of China (31572071), the Science and Technology Department of Hubei Province of China (2016CFA052) and the Recruitment Program of Global Experts (China) to J. Z. Authors are also grateful to Dr. Mingyu Wu (Hubei University, Wuhan) for helping with soil moisture measurement.